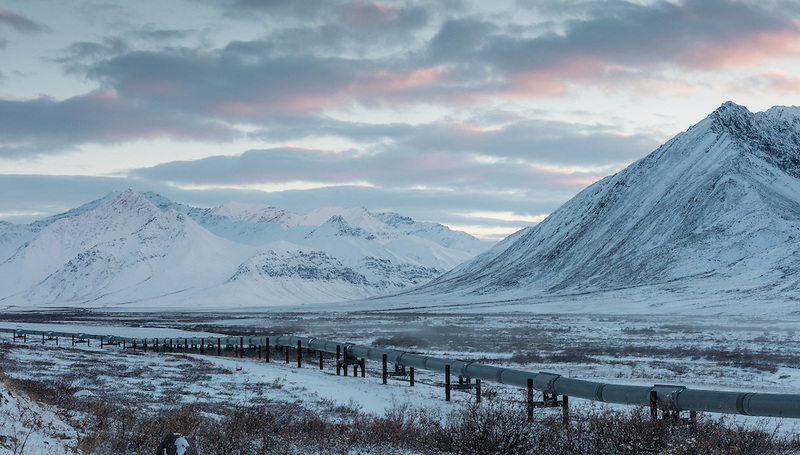 The oil pipeline originating from Prudhoe Bay, runs through the Brooks Range in Alaska. It makes for an interesting juxtaposition between man and nature. I love the juxtaposition of man and nature in this shot.